There have been certain limitations with compact system cameras when we compare them with DSLRs. One limitation with lens of these cameras happens to be the lack of a constant-aperture zoom lens that offers a consistent large aperture size throughout the zoom range. The G series cameras from Panasonic are highly praised from critics and common users, but so far a good lens to accompany these cameras was missing. 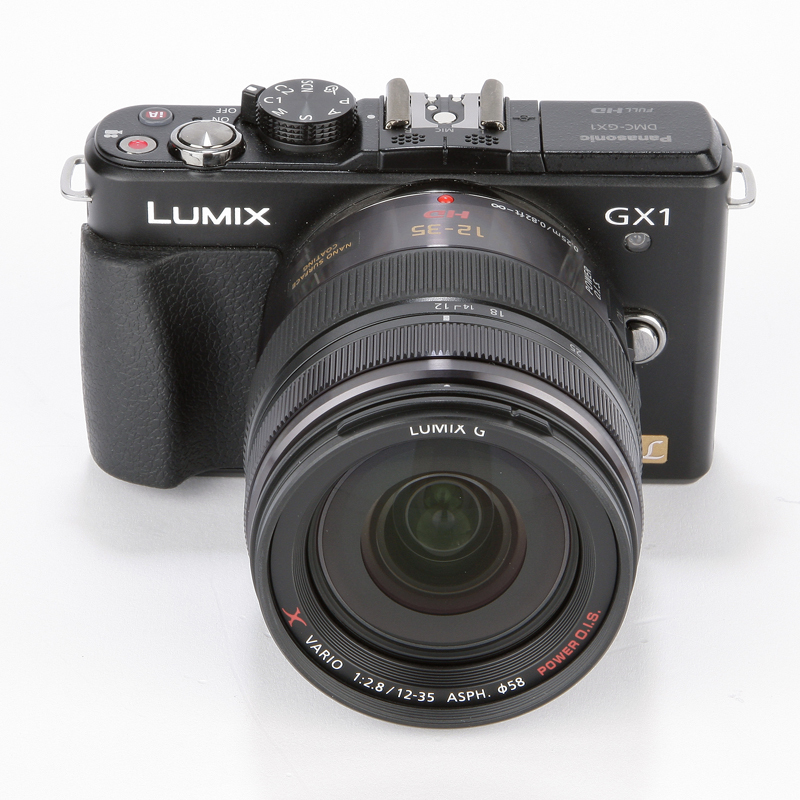 However, it seems that this situation has now changed with the introduction of the new Lumix G X Vario 12-35mm from Panasonic for Micro Four Thirds Compact System Cameras. There is one clear advantage that this lens presents over its compact competitors, that is, a constant F2.8 aperture. Rumors about the launch of such a lens from Panasonic were circulating since IFA last year, so it took quite some time for Panasonic to actually launch it. Now that it is about to hit the market, we can safely regard it as one of the very best lenses that you can have for your mirrorless camera and a positive advancement on the front of mirrorless cameras. The lens is compatible with all Panasonic cameras from G, GF and GX series as well asOlympus’ PEN and OM-D micro four thirds compact system cameras range. Besides, this would be the very first micro four thirds zoom lens featuring a constant fast F2.8 aperture. 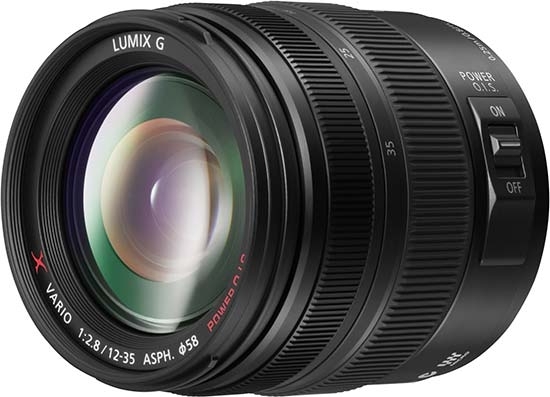 Good thing about this 12-35mm lens is that, due to the 2x multiplication factor of Micro Four Thirds system, it covers the same zoom range as a 24-70mm glass on a full-frame camera although an equivalent full frame depth of field as at F5.6. These factors make it quite suitable for shooing under low light and high-speed scenarios. Besides, it is also considered suitable for artistic bokeh touch. There is a built-in image stabilization and Panasonic’s Nano Surface Coating to reduce ghosting and lens flare. Besides, the lens is also flash and dust resistant and contains a solid metal mount on the rear. The focal length range of the lens is equivalent to 24-70mm lenses which is commonly found on 35mm film cameras and high end full-frame DSLR cameras. This makes it an extremely useful and multi-facet lens which can provide great balance between wide angle and telephoto. Unlike the previous lenses from the X series that featured the motorised zoom, this one comes with the standard manual twist-barrel-to-zoom action. The physical structure, however, remains quite similar to the previous models with the same premium metal build and dust proof structure. Finally, the price of this lens is also higher compared to the other models form the series. At present, its price in the UK market happens to be of £1,000 which is though less than the 24-70mm lenses F2.8 lens though they are larger and also come with expensive glass. The equivalent price for the US market is of $1,400 but Panasonic is yet to announce the exact price for the US. There is a Canon optic lens with almost similar technical specs that costs around $1,600 so even if this one is priced at $1,400, the price would not be too high. So far, we don’t have the exact release date for this lens as yet but it is expected to hit the market during August.